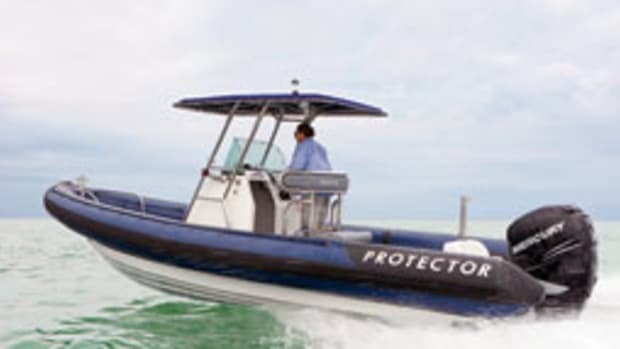 Massachusetts boatbuilder Chris Roth is back in the new-boat business, and he’s introduced a handful of new models under the Nantucket Skiff marque, from skiffs to a 30-foot New England bass boat. After resigning as general manager of RothBiltBoats in 2002, Roth ran his own service yard in Plymouth, Mass., specializing in repairs and restorations. Shortly afterward, he began construction of the 16-foot, 9-inch Nantucket Skiff, an outboard-powered vee-bottom dory. 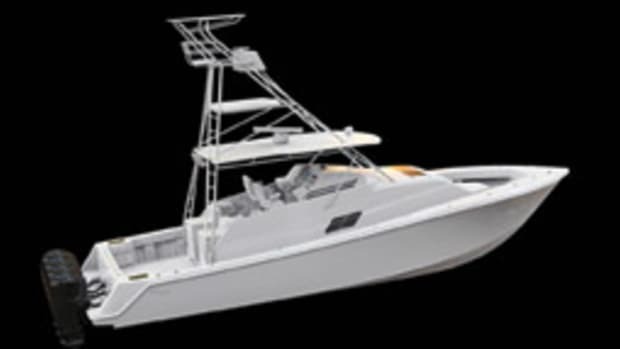 Last year he added the Tribute 30, an inboard fishing boat with a traditional style. Inspiration for the Tribute’s salty looks came from the old New England bass boats, Roth says, in particular some MacKenzie designs that first appeared in the area more than a half-century ago. Many local sport anglers demand speed from their boats for a day’s excursion, Roth says, which typically leaves them with the default option of a production center console. The Tribute, on the other hand, runs at a good clip while presenting classic lines and fuel efficiency to boot. “These guys are burning 60 to 80 gallons of fuel to do what we can do in 30 gallons,” he says of center console owners. 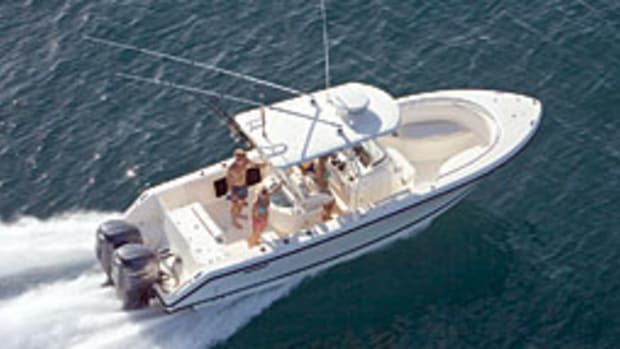 The first hull attained a top speed of 29 mph with a 230-hp Cummins diesel. A 300-hp Volvo Penta diesel likely will power the next Tribute, and other diesel options from Cummins and Yanmar will be available. 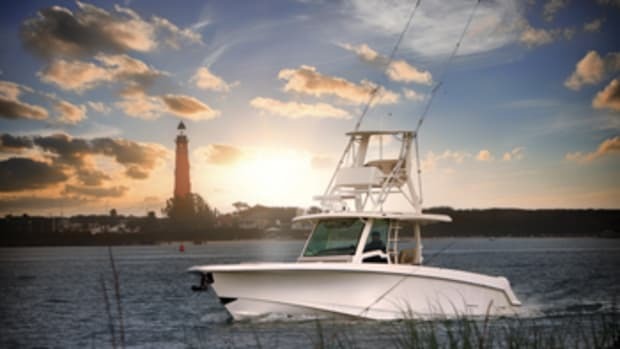 The Tribute has drawn interest from owners of express-style sportfishing boats who find they don’t need the cabin space, full galley and other amenities those boats provide. Her layout comprises an open cockpit with an engine box, and a V-berth forward with space for a portable marine head. The simple layout is telling, in that the boat’s length is intended for seakeeping rather than amenities. Indeed, the 30-footer’s 8-foot, 4-inch beam is narrow by today’s standards. That beam makes it the sea boat it is, and if Roth had any doubts about Dickes’ design, they were put to rest when they sea-trialed the prototype in spring 2008. “Once we were out on the water on her, I said, ‘There isn’t really much I’d do to change it,’ ” says Roth, who has been building boats for more than 30 years. He describes the Tribute as a quick, stable platform that’s traditional-looking and elegant. She has a sweet sheer line that rises prominently at the bow, a tall windshield with a stout-looking frame, and tumblehome aft. “The fit and finish is right out of the Picnic Boat,” Roth says, referring to Hinckley’s iconic dayboat. There’s teak on the foredeck, gunwales, cockpit, engine box and down below, as well as stainless-steel hardware throughout. 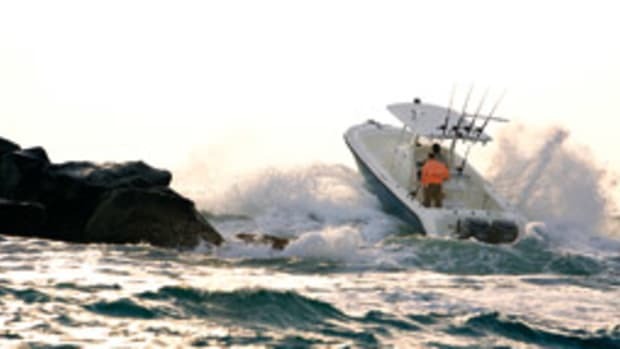 “A guy can go fishing all morning in it and come home and grab the girls and go for a cocktail cruise — and it’s not like they’re in a fish boat,” says Roth. Hull construction is fiberglass and composite. 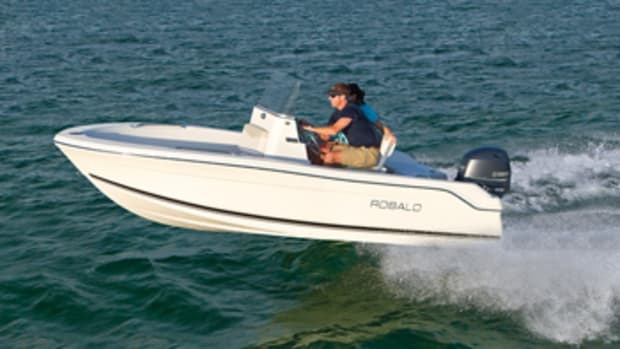 Although the prototype was built locally, production will take place in Poland, where Roth has made many boatbuilding contacts over the years. RothBiltBoats were produced there, as were other projects with which he’s been involved. He says building the boat in New England would have put the Tribute’s price in the $300,000 range. By manufacturing in Poland, the price starts in the neighborhood of $150,000. 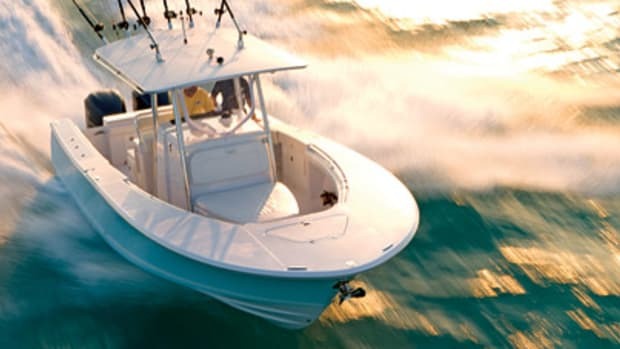 Roth Boat Builders has been building the Nantucket Skiff for the last five years, but in the last year it has made a marketing push. This coincides with the release of the Tribute and the expected launch of a couple other skiffs. 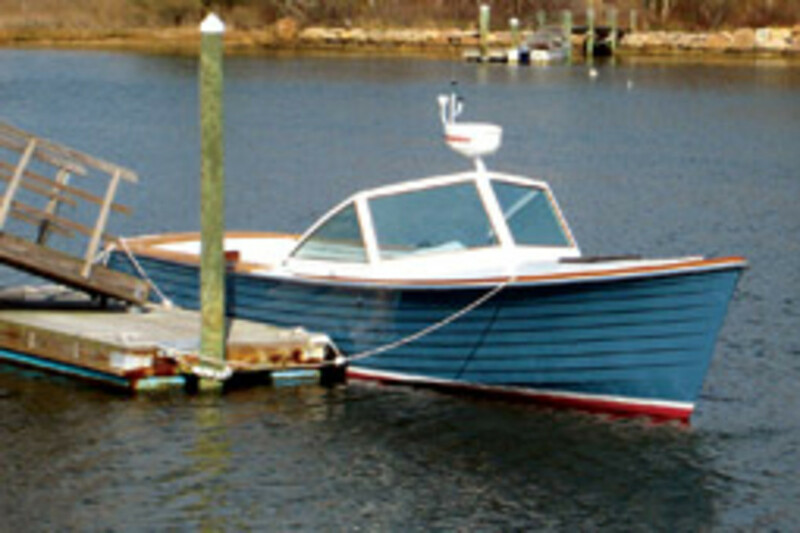 The original Nantucket Skiff is a 16-foot, 9-inch dory that retails in the $21,000 to $22,000 range, including an outboard and trailer. It’s available as a center console or as a launch with seating all around. A new skiff is due out this summer. It’s a little more boat in the same overall length as the original skiff, Roth says, and will come in under $25,000 with an outboard and trailer. Roth originally designed the new skiff for the European market, he says. Compared to the original, it has more storage, standard forward seating and a self-bailing deck. 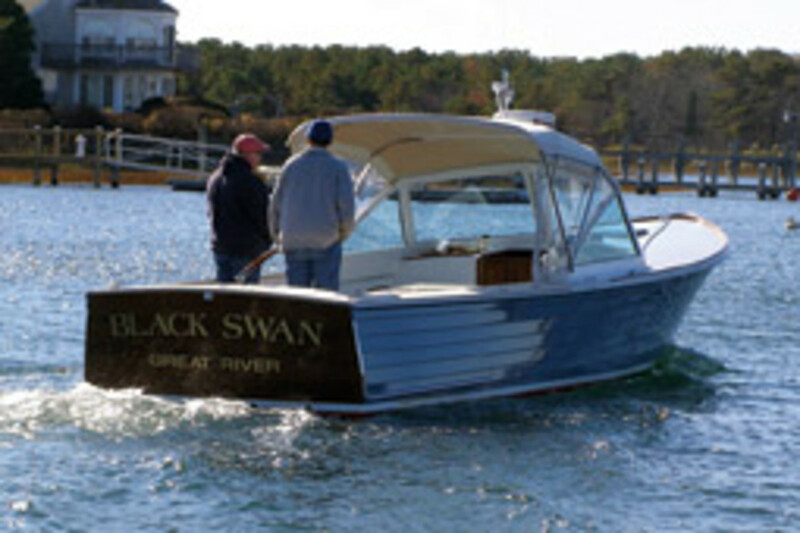 CONTACT: Roth Boat Builders, Plymouth, Mass. This article originally appeared in the August 2009 issue.